Friends S1:E1 – Hi, my name is Ken Adams. I am a thirty-something writer with a plethora of trivial knowledge that I’ve been accumulating my entire life through an obsessive-compulsive dedication to pop culture. While this trivial knowledge has been of great benefit to me in the pursuit of beating my friends at board games over the years, it had not had much practical application in the real world as I had, until recently, been struggling to find employment as a writer. Luckily, theLeftAhead was looking for a pop culture writer and I was fortunate enough to Bob Benson my way into convincing them to give me a job. (Do you see what I did there with the Mad Men reference?) 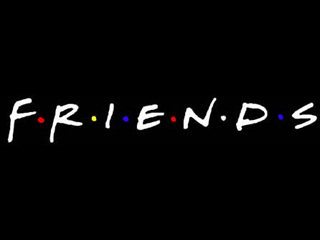 Anyway, among other things, I am a huge fan of the hit television show Friends. I have seen every episode of the series at least twenty times and I consider myself somewhat of an expert on any and all things related to the show’s story and characters. Tonight, as my first assignment on my new job, I am embarking on a ten-year-long experiment. I will be blogging about Friends in real time…only exactly twenty years too late. Yes, today just so happens to be the 20th anniversary of the pilot episode’s original broadcast. So tonight, I will blog about the pilot and then I will subsequently present a blog post for each episode of the series on the 20th anniversary of each episode’s original broadcast. If you’re doing the math in your heads out there, kids, that’s right…I have just committed myself to a project that will require me to write 236 blog posts, each on a specific day, and that will not conclude until May 6th, 2024. It’s true…I really am that crazy and I really do love Friends that much. On the bright side, perhaps this stunt will land me some job security. The original idea for creating this blog series came to my wife and me a few years ago as we were binge watching episodes of the series on DVD for the umpteenth time. We noticed that the writers of Friends indulged in a great many inconsistencies in their storytelling of the series. In fact, the show was chock-full of contradictions during its ten years on the air. To give you an example of what I mean, it is established in the pilot episode that Rachel meets Chandler for the first time when she bursts into Central Perk in her wedding dress looking to find Monica. However, later in the series, the writers create layers upon layers of a backstory in which Rachel had a preexisting relationship with Chandler dating back to when she was in high school. Yep, the Friends writers were wizards at magically revising the history of their own characters. In fact, while writing inconsistent character backstories is pretty common in the sitcom genre, Friends may very well be the Mike “Gandalf” Ganderson of this particular magic revisionism. So from now on, anytime I report an inconsistency in the storytelling of the series I will refer to the transgression as a Gandalf Gaffe and my intention is to curate every single last one of them, episode by episode; pilot to finale. Let me be clear, my pursuit of this undertaking is not to criticize the show or its writers. I love this show and I believe that it is one of the best-written sitcoms of all-time. The show has aged remarkably well and even though I continue to watch episodes over and over again, now 20 years later, they do not feel dated. That is an incredible testament to the quality of the writing on Friends. On the contrary, my motivation for curating these inconsistencies is to challenge the depths of my Friends acumen and perhaps provide a fun, new perspective through which readers can stay engaged in the show over the next ten years. My wife and I have found ourselves both returning to old episodes of Friends more regularly and also receiving greater enjoyment from these viewings by challenging ourselves to try and spot a Gandalf Gaffe in each episode that we have never spotted before. We have found it surprisingly fun to play the game while watching the show so it is my hope that you might as well. Without further ado, I give you my pilot post of theLeftAhead Friends blog series. Happy anniversary, friends. See you for the next ten years. Recap in the Key of Phoebe – So this is the one where Rachel leaves her fiancé at the alter, Carol moves out of her and Ross’ apartment after ending their marriage because she is a lesbian, Monica dates Paul the Wine Guy (who concocts a wounded animal story to trick Monica into sleeping with him on the first date), Chandler psycho-analyzes his bizarre dreams, Joey can’t figure out which woman he’s taking on a date among the many he is seeing, Phoebe sings in the subway, and finally Ross and Rachel establish a spark when Ross decides to grab a spoon. Gandalf Gaffes – In order to play this Gandalf Gaffe game, we must first begin in a world with established truths. 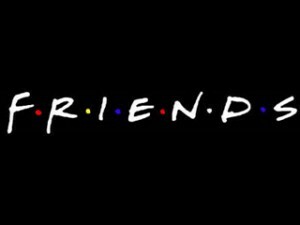 Since the pilot episode is our starting place, each representation of the Friends characters in the pilot establishes their truth. In other words, for our purposes, the pilot episode is our gospel. While the pilot obviously does not establish the entire history of each character up until the point in time that it takes place, it is our starting point, therefore it cannot possess contradictions (Gandalf Gaffes). According to this philosophy for the game, the pilot is pure and free of sin, therefore I do not have any Gandalf Gaffes to report tonight. Our game, however, will play out chronologically from episode to episode with each new development adding to the established truths of our world unless it violates a previously established truth. When a new development contradicts something that was previously established as true in an earlier episode chronologically, then the new development is the Gandalf Gaffe and will be documented in this section of my post for the episode in which it occurs. When it’s all said and done on May 6th, 2024…I hope to have caught and documented every single possible Gandalf Gaffe, no matter how large or how small. Game on.